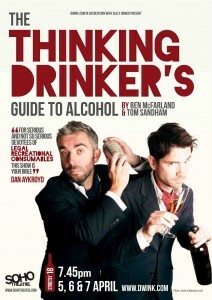 The Thinking Drinkers are award-winning drinks writers Ben McFarland and Tom Sandham. “We like Sam and his team. Hard working, acutely professional and always good fun to work with, he eschews the fripperies of PR favoured by other agencies in favour of actually getting things done, letting all the right people know about it and being very targeted in his approach. Even though he hails from the north, we have no hesitation in recommending him”. Tom Sandham is former editor of leading industry spirits and cocktail magazine CLASS. He launched the Top 50 Bars of the World and House Tonic, the discerning drinking magazine for the Soho House Group. He is also the author of the award-winning World’s Best Cocktails. Having met in their 20s whilst working on a leading pub magazine, Ben & Tom left for America where they co-wrote the award-winning Good Beer Guide West Coast USA.. They currently write about drink for Jamie Oliver’s ‘Jamie Magazine’ and regularly contribute to an array of international newspapers and magazines including the Spectator, Esquire, Shortlist, Times, Guardian, Time Out London, Conde Nast Traveller, Daily Telegraph, Imbibe Magazine and the Independent. 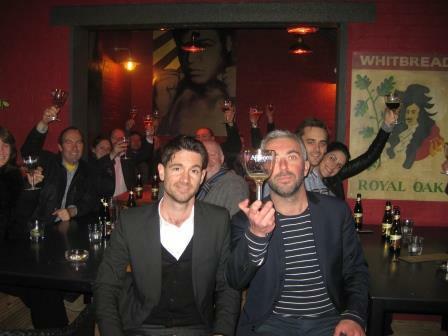 They both regularly appear on television and radio as leading drinks experts. Ben & Tom host an eclectic range of irreverent tastings for those thirsty to learn more and also run targeted training sessions for leading bar groups and pub companies. Together they have also written and performed “The Thinking Drinker’s Guide to Alcohol”, a unique comedic drinking show that debuted at the 2011 Edinburgh Fringe. Following sell-out shows and excellent reviews, it returned to Edinburgh in both 2012 and 2013 before being transferred to the Soho Theatre in London’s West End. It also been performed at the Cheltenham Literature Festival and Taste of London. Food-mad double-act Claire Warren and Madeleine Joanes set up Little Kitchen cookery school in 2014. Little Kitchen Cookery School is based at 153 Wick Road, Brislington, Bristol, BS4 4HH and has been set up with the aim of getting people of all ages cooking nutritious food from scratch. When they are not spreading the joys of cooking, the girls take care of all of our recipe testing and creation. 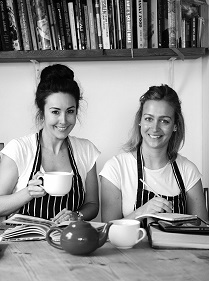 For more information on Little Kitchen Cookery School visit www.little-kitchen.co.uk or follow them on twitter @UKLittleKitchen.